Tutorial : Ice Cream and Pineapple Nail art | Memorable Days : Beauty Blog - Korean Beauty, European, American Product Reviews. It's Summer so I am more into bright colors at the moment. In today's blogpost I will explain how you can create ice cream nails as well as pineapple nails. 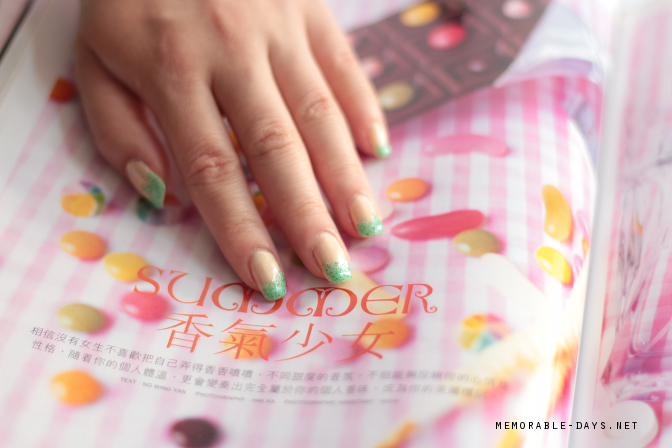 I'm testing out some new ways to photograph my nail art (tutorials), so I hope you girls will like the new style ^o^! HOW TO CREATE ICE CREAM NAILS? STEP 2 : Apply a pastel yellow nail polish and let it dry. 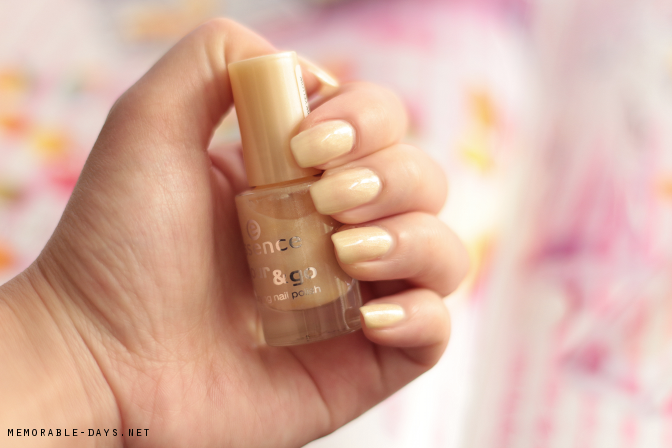 I'm using the Essence Colour & go #51 Mellow Yellow. STEP 3 : Create a dripping effect with your glittery green nail polish and let it dry. I'm using a nail polish of the brand Tribal Colours. I got this one from bornprettystore (link to the product) and it is sold for $3,99 there. Feel free to use my coupon code MDJ61 to get 10% OFF at checkout! STEP 4 : You can either apply a top coat and stop here or you can skip this step and move on to step 5 to create pineapple nails. HOW TO CREATE PINEAPPLE NAILS? After you're finished with the first 3 steps, you can move on to step 5 to create some pineapple looking nails. 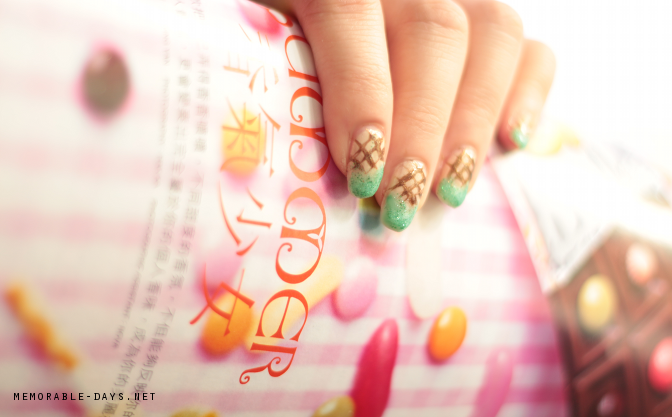 STEP 5 : Use a striping nail art pencil to create diagonal brown lines like so in the pictures below. The lines that i created aren't that thin looking (lol), but try to create some even and thin lines. STEP 6 : Apply a top coat and let it dry. ARE YOU WONDERIN' HOW THE GREEN NAIL POLISH LOOKS LIKE ON THE NAILS? Check out some swatches below (2 coats were applied in the picture below). I'm loving this green color since it's suitable for the Summer! Bornprettystore also has other colors available (link to the product). Feel free to use my coupon code MDJ61 to get 10% OFF at checkout! I hope you liked these tutorials ^^! Make sure to follow me via bloglovin' and stay tuned for more tutorials! note: the tribal colours nail polish was sent to me for review purposes, the other nail polishes were bought with my own money.